Kodi, formerly known as XBMC, is an excellent solution for creating a home media centre, which can stream your multimedia from anywhere in the house or directly from the internet using practically any protocol available. If you own a Kodi media sever, it is easy to get your movies free on Kodi Media Sever to play with your iPad, Android tablet/phone and your laptop. Unfortunately, most DVD discs are bogged with copy protection which are not supported by default in our favorite media center application, XBMC. Here shows how to enable unprotected/protected DVD playback in Kodi. 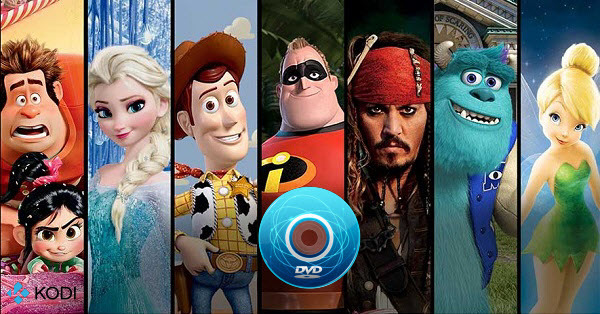 Kodi's "VideoPlayer" (formelly XBMC's "DVDPlayer") is capable of playing DVD-Video and Blu-ray Disc as well as most other popular video formats. You can use Kodi to stream unprotected media from DVD using an internal DVD-ROM drive directly. Before you can do anything, you will need to install Kodi from the PCLinuxOS repository, and then start it from your PCLinuxOS menu (under the Video menu). 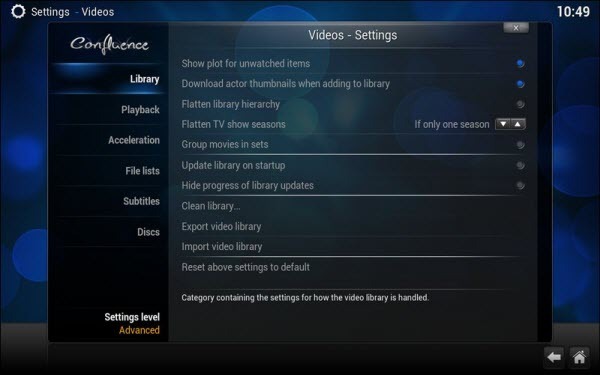 Under the "Video" category, you will find all sorts of settings for telling Kodi how to manage and display video. The "Library" subcategory refers to videos that you have stored on your computer, whether they are archived from DVDs or downloaded. Tip: Kodi can also do something similar with video files in folders, such as VIDEO_TS folders representing DVD rips that are not in standard ISO format. You can stack the folders using a name that contains the movie name, ending with cd#, dvd#, disc# or disk#, where there is no space before the #, and where # represents a number between 1 through 9. For example, if you have folders named The Lord of the Rings - The Fellowship of the Ring DVD1/VIDEO_TS/etc... and The Lord of the Rings - The Fellowship of the Ring DVD2/VIDEO_TS/etc... will appear as a single entry in both the library and file views. 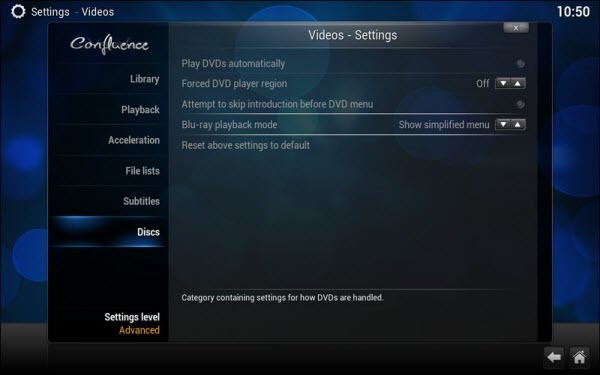 The final Videos - Settings sub category, "Discs," allows you to control playback of both DVD and Blu-ray video discs. The default settings are as displayed in the image above. You may wish to enable the two settings that are set to off by default. 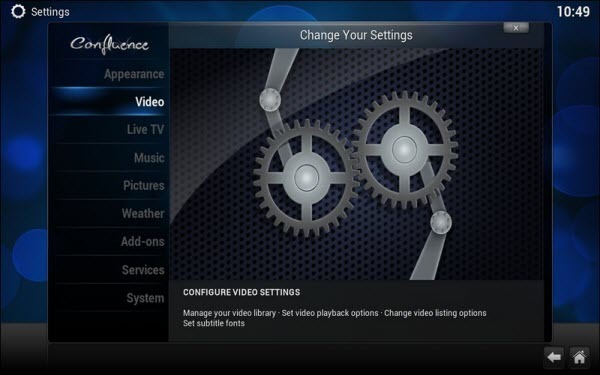 If you insert a DVD disc while Kodi is running, the DVD will begin playing automatically – if you enable the "Play DVDs automatically" setting. If you enable the "Attempt to skip introduction before DVD menu" setting on, Kodi will attempt to skip straight to the DVD menu, so that you don't have to sit through all the BS they put on DVDs these days before you can even watch the disc's content. The region code and DVD prtection restriction makes it difficult to copy DVD movie content of disc to Kodi movie library. So if you have a physical disk that is not supported or causes DVD playback issues on Kodi, consider extracting the DVD content and converting to some sort file format with Kodi playback capabilities. The process is always known as DVD ripping. Then a handy DVD ripper program is needed. As a freeware, the well-know Handbrake can only rip standard Def DVDs. Then an alternative one to Handbrake for ripping encrypted DVD like Dimo Video Converter Ultimate is you best option. 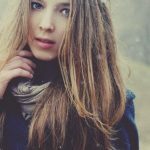 It enable you to get around the encryption on DVDs, and make digital backups of all DVD movie content to Kodi supported format for streaming and sharing. Apart from DVD, it also supports huge variety of input formats like MKV, AVI, VOB, Tivo, MOV, etc. and has a well-designed interface that simplify the process of converting your DVD media to Kodi compatible video files. And since the software is bundled with powerful features like batch DVD title converting and editing, you can handle the movie easier than ever. 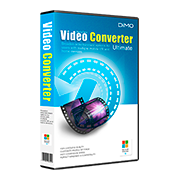 Have in mind that the program run on Windows and Mac platforms, from windows XP to Windows 10 to macOS High Sierra, if you are running an iMac/MacBook, please go to Dimo Video Converter Ultimate for Mac. After downloading and installing this DVD to Kodi ripper, click "Add DVD" icon to import source files. Then all DVD titles are listed. You can select desired audio track for output. In the dropdown list of "Select Format" menu, you can find the format you like. Here H.264 MP4 from "Format > Video" is the best choice for playing via Kodi. Click "Start" button to start ripping DVD content for Kodi. After the conversion, click Open button to find the output files. Make sure the wireless network connection is accessible among Kodi and other devices. Then just copy, share and enjoy the ripped DVD movies with Kodi player or other portable devices from DLNA, Plex or NAS via Network at ease.